Do you love to sit and watch TV for long hours at a stretch? Researchers have found that watching more than five hours of TV a day can slash a man’s sperm count by a third. Experts at Copenhagen University studied 1,200 healthy young men to see if a couch potato lifestyle affected their fertility. 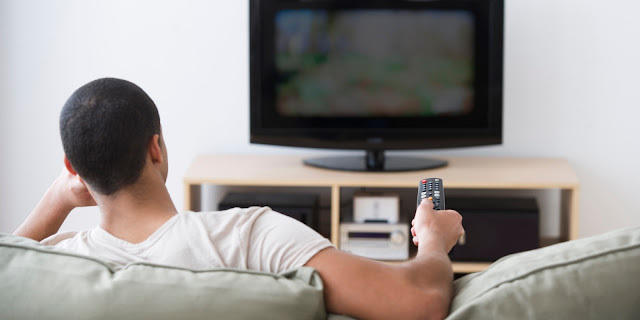 The results, published in the American Journal of Epidemiology, showed constant watchers had average sperm counts of 37 million per millilitre of fluid, compared to 52 million per millilitre among men who hardly ever watched TV. They also had lower levels of the male hormone testosterone, which the body needs to produce sperm. But scientists found spending time sitting at a computer did not appear to have the same adverse effect.This may be because those who watch too much TV are less likely to be doing much exercise or eating healthily, which are crucial habits for maintaining fertility.